The speed with which a machine does its work depends upon the kind of power that is driving it. 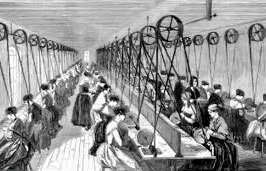 At first, people turned cranks, worked pedals, or pulled on ropes to operate machines. Another example is that people pushed the bars of a windlass. A windlass is a kind of drum that winds up a rope as it turns. It is used to lift and pull. Early machines depended upon the power that people provided. The machines slowed down as human muscles got tired. 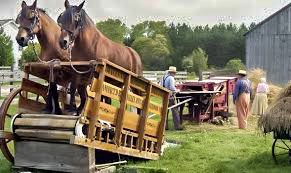 Later, horses, cattle, and even dogs were used to power treadmills and windlasses. The animals had more endurance than humans. But they too, were living creatures that grew tired. This is why some other kind of power was needed, for machines to reach their full usefulness. Then someone thought of harnessing the power of wind and water. 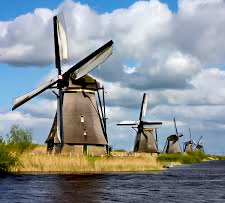 Windmills and waterwheels became the chief sources of power, until well into the nineteenth century. They were used to pump water, to grind grain, to press oil, and to work the machinery used in factories. Water and wind power turned out to be a huge improvement over using the labor of people and animals. But these sources had their limitations too. When the wind died, windmill arms slowed, and they stopped turning. 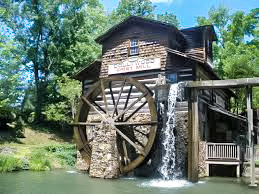 And, during times of drought, there was not enough water to turn waterwheels. A still better source of energy was needed, to operate machines to their maximum potential. In the mid-1700s, a young Scot named James Watt, thought of a different source of power. The idea came to him as he watched steam rising from a tea kettle. Why couldn’t steam power be used to run machines? As he grew older, Watt experimented with steam engines. Finally, he succeeded in inventing a practical steam engine that had many uses. It was used to pump water from the tunnels of coal mines. It was used to operate machines in factories. It turned the grindstones in flour mills. And when the steam engine was mounted on wheels, it could pull cars along a track. 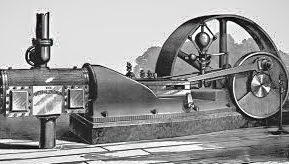 With the steam engine, factories had a better source of power. The steam engine was always ready to go. If more power was needed, bigger engines could be built to supply it. 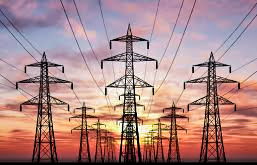 Then, in the last half of the nineteenth century, an entirely new source of power, electricity, came into use. Now the time was really ripe for the machine age. With a dependable supply of steam and electricity, machines could be designed to do all sorts of things to improve mankind’s living conditions. 1. What decides how fast a machine can do its work? 2. What provided power for the earliest machines? 3. Why didn’t this work well?